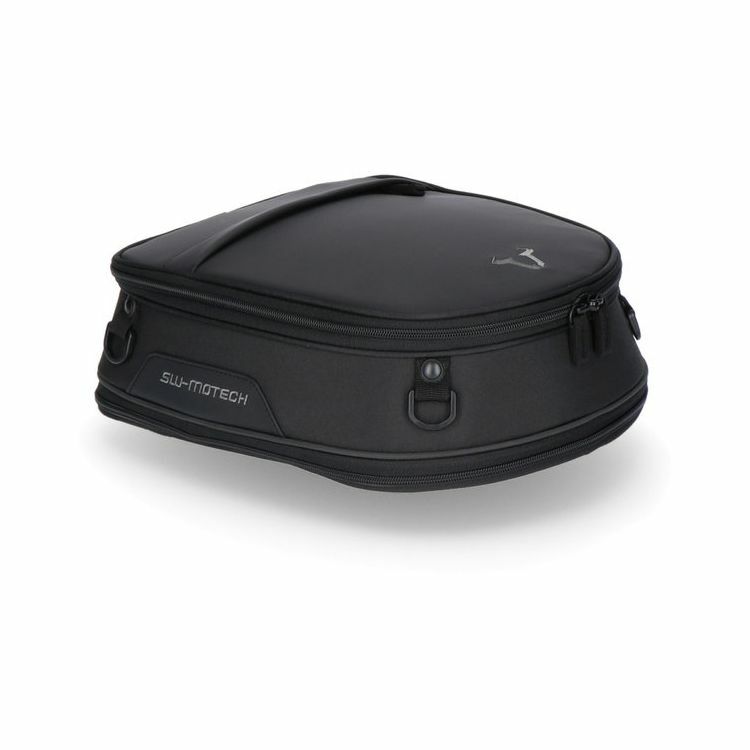 The SW-MOTECH ION Small Tail Bag can expand to 15 liters of capacity; roughly the size of a small backpack. It's otherwise a slim 7 liter package. It straps down to the tail of your bike using a set of included straps.